Today we are talking about ways to save money in the vegetable garden. Learn the best vegetables to grow to save money. Find out the best ways to save money in the vegetable garden with these tips. When I was little, I used to hate working in the garden. I still have nightmares about that old, brown tiller that would literally bounce me around from the moment it was fired up. It vibrated so badly that I am convinced that is why I have a tremor now that I am grown. Regardless, gardening was not a good time at first. Looking back, I understand why. We were not “smart” gardeners in the beginning. We simply put stuff in the ground and prayed for something to break ground. We ended up wasting more money than anything. Then, as time went along we got smarter. Eventually, we saved a ton of money on gardening, so I wanted to share my frugal gardening tips. These are the best ways to save money in the vegetable garden. We love garden money saving ideas! So what are the best vegetables to grow to save money? Find out the best foods to grow first. These 6 vegetables are perfect for beginner gardeners. All of us have gone into the store and seen those beautiful looking plants that are already blooming. We used to see tomato plants that looked ready to produce at any moment and would get sucked in. We inevitably would buy them and plant them in hopes of some juicy tomatoes the next morning. Of course it did not work that way most of the time. Transplants can work, but you need a certain level of expertise to get them right. They also cost a good bit more than seeds. We always did much better with seeds and the harvest seemed larger as well. Did you know that if you don’t plant certain things at certain times of year, they won’t grow? Did you know that where you live makes a huge difference? These facts were lost on us when we used to basically wing it. With the power of the modern computer, beginner gardeners have it easier. You can just look it up online. Take advantage of the wealth of information and you can shorten that learning curve considerably. Gardening supplies and seeds should be shopped the same way you seek out deals on bottled water. Search around, use coupons when you can and always recycle what you can. Many crops leave behind or produce what is needed for the next year’s growth. Even your garden equipment such as hoes, spades and watering supplies can be found at a discount. Consider secondhand if you really want to be frugal. If you are remotely handy with a power saw and hammer, you can probably put together a simple flower bed. Take the time to build them yourself if that is what it takes to get them in the proper position at your home. Sometimes you simply don’t have the right spot in your yard to get proper sun. Build a planter box and put it where you want. People often plant anything that they think will grow without much thought about what they truly like or want to eat. Plant the foods that you love and you will always save money. Remember, you can also donate food. Is it cheaper to grow your own vegetables? Having a garden is certainly a wonderful way to offset food costs and build teamwork within the family. We got it wrong for a year or two, but in the years that followed it became a labor of love. We not only saved a ton of money over time, we fed half of the neighborhood in the process. It is well worth the investment and doing your homework can speed up the savings meter considerably. Try gardening to save money on food. We love fresh produce. 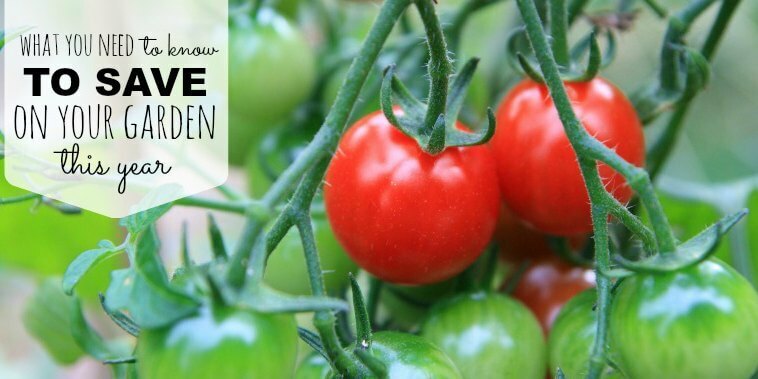 Plan your garden and you will have fruits and vegetables in your own backyard! Saving money with easy to grow plants isn’t difficult. We eat a ton of fresh green beans and it can be expensive to buy these all the time. We really love these Grilled Green Beans. Yum! It’s the same with winter squash and other fruits and vegetables. The grocery store can easily set you back a ton of money! Home gardeners reap the benefits of their labor buy growing a garden. Those are my best ways to save money in the vegetable garden. Share your Frugal Gardening Tips! You can also learn how we saved thousands on landscaping and tips so you can too! Such great saving tips! Find even more gardening tips here. I love the tip for mosquitoes. 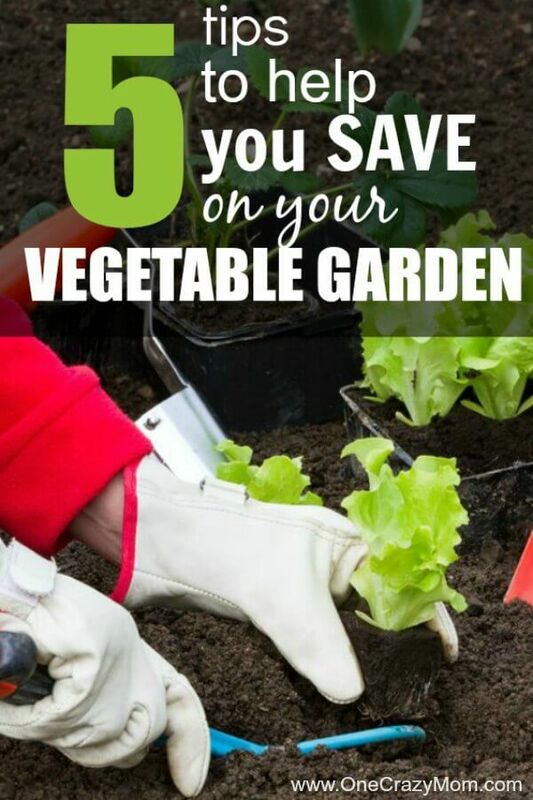 Now that you know how to save money in the garden, it’s time to get started! Don’t miss your window during the growing season! Garden to save money and enjoy all your yummy fruits and veggies. Growing a garden is so rewarding! I love to get the kids involved as well. It teaches hard work and discipline. They also are more likely to try new vegetables if they helped to grown them. 🙂 This is perfect for those picky eaters! You can also save on landscaping. Find out how we saved thousands and tips so you can too! Don’t forget to pin it to your gardening board! 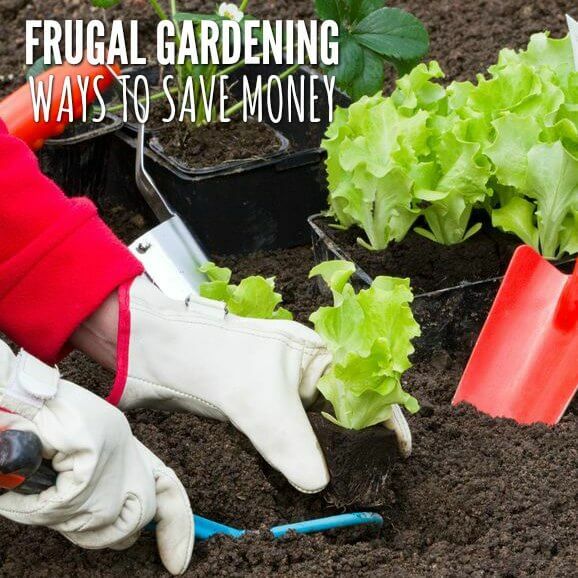 Make sure you check out our other frugal gardening posts here.